Charles Lindbergh's 50th Anniversary Flight From Roosevelt Field, New York. May 22, 1977. 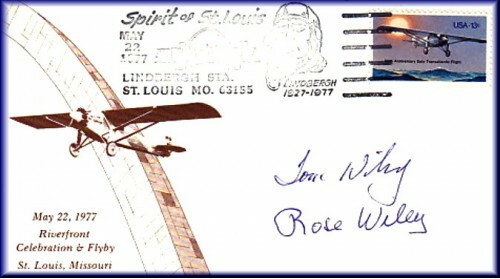 This Is Gateway's Stamp First Issue, It Is Not A Full Color Silk, You Can ADD The Autographs To This Envelope After You Purchase The Unautographed Set.